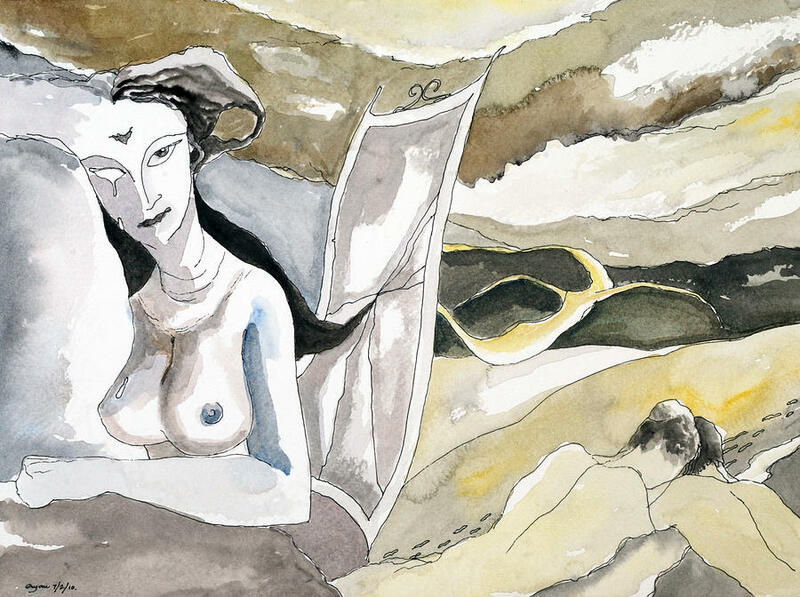 Birth Of A Song is a painting by Ayan Ghoshal which was uploaded on October 6th, 2010. Great style .......wonderful powerful work Ayan - Chris. I am also impressed with your work...To me your work is mystical and mysterious in its beauty. Powerful composition. I love this art work!!! This is a very powerful work. I love your subtlety of concept and execution. Thanks for being here at FAA for us to meet you!